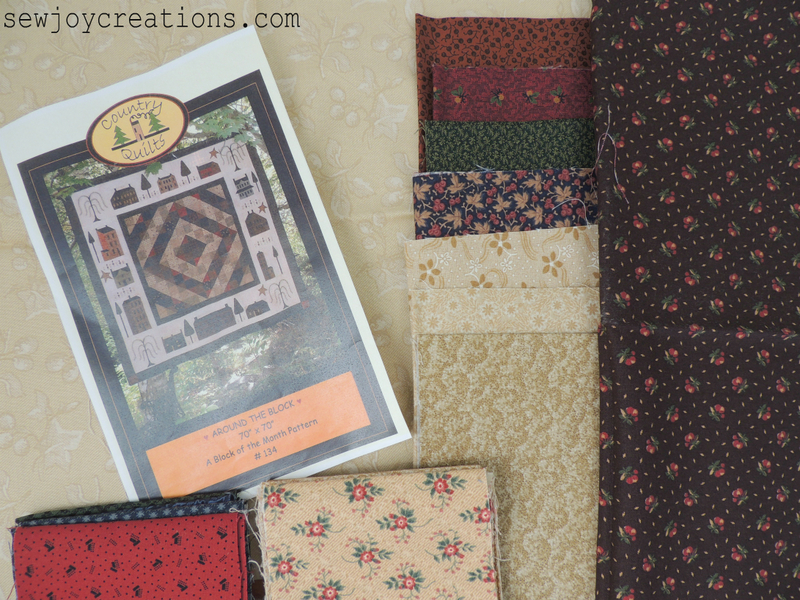 I was also gifted this beautiful primitive looking kit - with authentic Thimbleberries fabric. I've never really hunted down this fabric, but can see why I have friends who hoarded it! There is hand stitching of the willow trees and some interesting details. They also precut the fabric to make the centre block in a different way than I've tried before. This one is not on my immediate to do list, but I will do it! The fourth kit I got on vacation I bought. My son actually picked it out - for him! 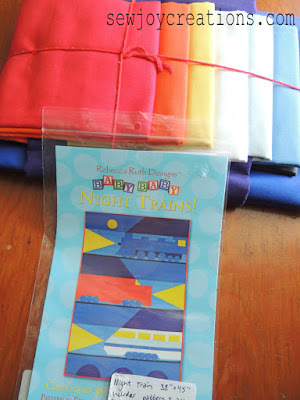 Yes, it's a train quilt! Of course. It's in all solids too. He still loves trains and quilts and it was his birthday so - this will be a present for him. Not sure it will be done for this Christmas with all the other things I'm into right now - maybe for his next birthday! 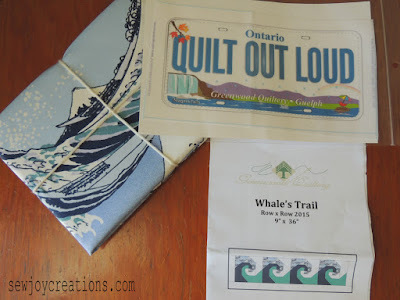 I got the train kit at a beautiful quilt shop in Guelph, Greenwood Quiltery, which is also participating in the Row by Row Experience. This is my first license plate and kit from this 'experience'. My local shop is also participating but I haven't got there yet! So, when I came home from vacation I started making pumpkin blocks! 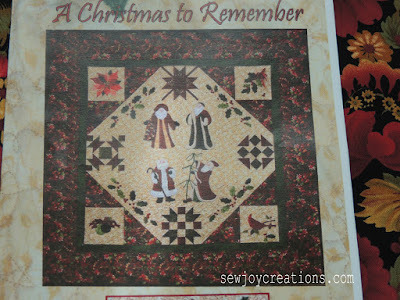 I've been thinking for awhile about making my own quilt out of blocks that I've designed. 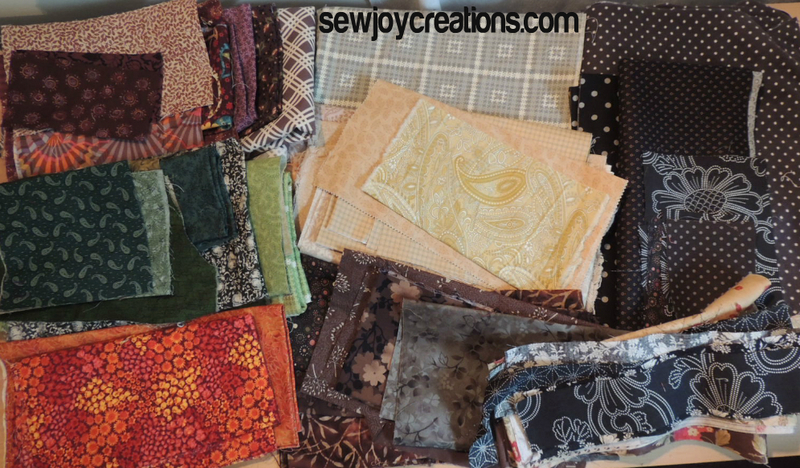 I had a pile of odd shaped fabric leftovers from my Halloween 1904 quilt and ideas about using them to make a bag. But plans changed when my sister gifted me a bit of fabric too and I was able to make these blocks. I started pulling from my stash to see what would go with them and WOW! I think I have enough to make a quilt and then some!! My plan right now is very much in the planning stages. I'm thinking about a 'choose your own adventure' kind of plan where I present a block and possibilities and you choose what you're going to do with them. Right now I know I can make a quilt that is 90 inches wide before borders(I'm not even sure it will have borders!) 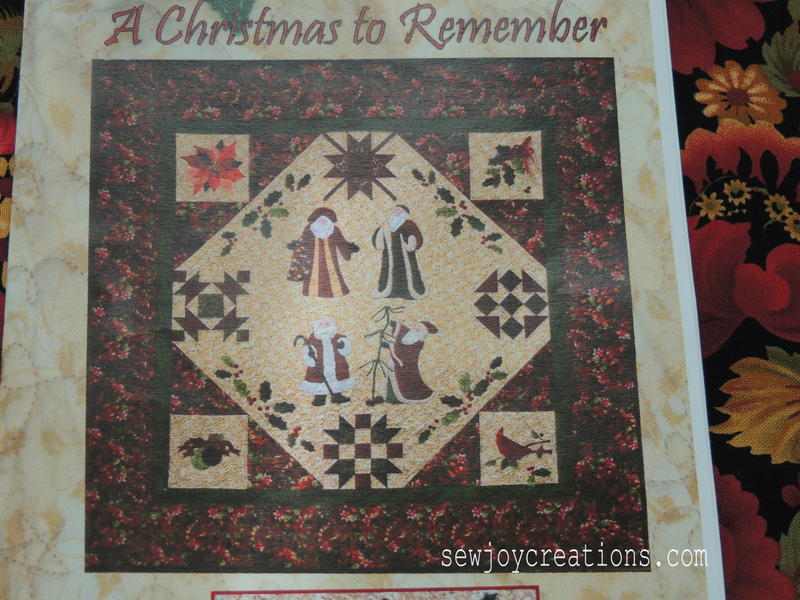 - so a queen size quilt - and everything smaller than that too! Sara mentioned a twin quilt - right now my measurements get me to 54 inches wide before borders so a twin quilt is a definitely possibility! 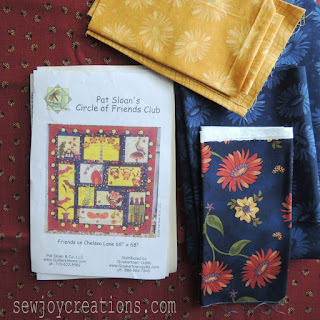 Basically I'm inviting you to sew along with my process. 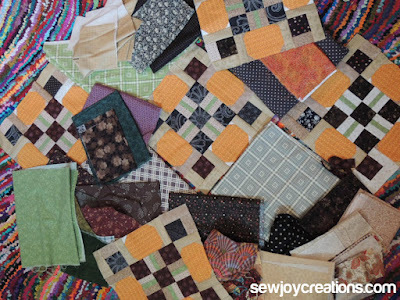 I don't know what the finished quilt will look like - exactly- yet. It's not a mystery because I'm not giving measurements of what fabrics to have ready. I am starting scrappy and literally using what I have. I will probably figure out yardage so you could make a quilt out of only a few fabrics, but not until later. I am intrigued. This "mystery" is so mysterious, how can I resist?